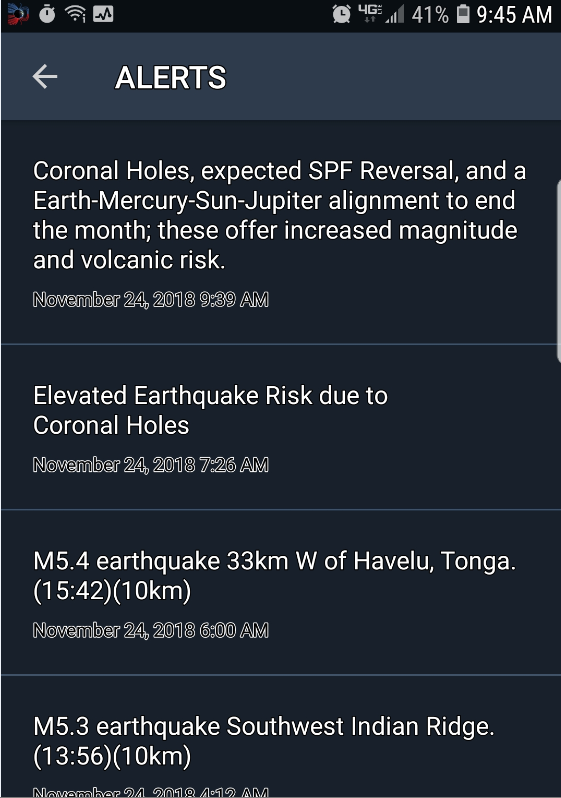 After a decade of watching EQ, almost daily, this was a very strange sight to wake up to Hawaii time. 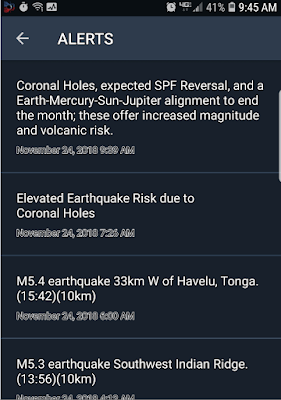 A super quiet EQ scenario on 11-24-18. 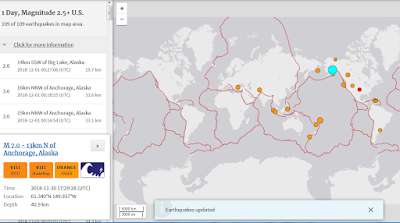 11-30-18 Update at 17:29 today UTC, we made the call 6 days earlier, for unusual EQ activity. And we got it, a 7.0 striking Anchorage. 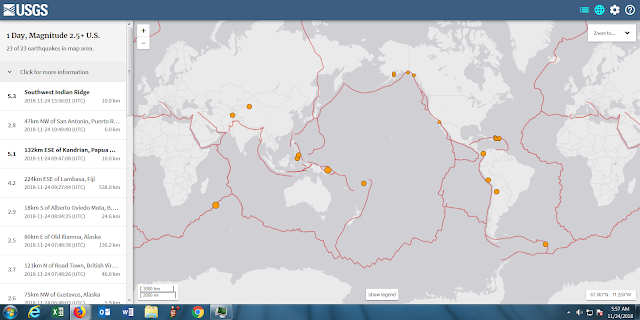 And 109 total EQ over 2.5 in last 24 hours. Zerohedge has some coverage on how this is an unusual EQ in it's impact and feel. Basically scared the bejesus out of people, whatever a bejesus is!? 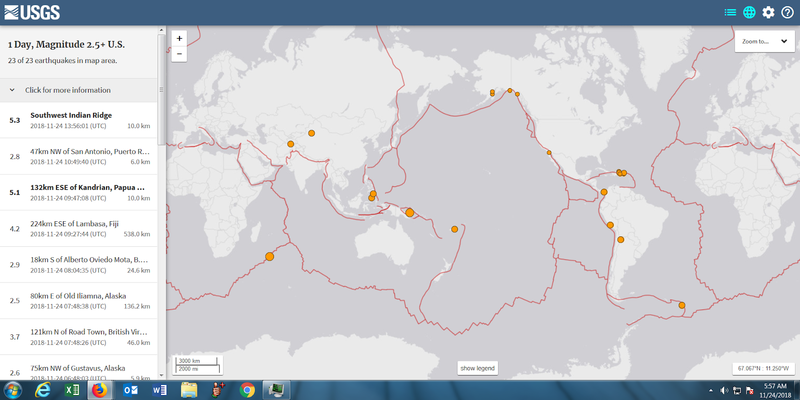 Just barely a couple 5's across the globe and only 23 total quakes over 2.5. VERY QUIET. See other article on huge uplift at Yellowstone. 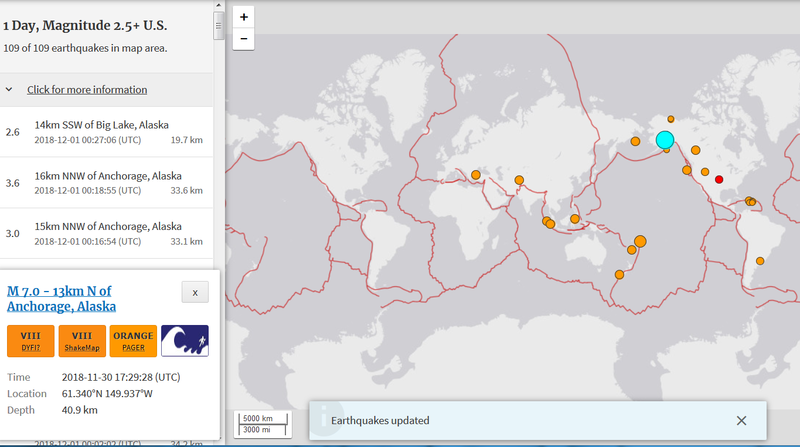 yep, I calculated 1.7 trillions pounds of magma added to the unstable Hilina Slump = 1000 foot tsunami.